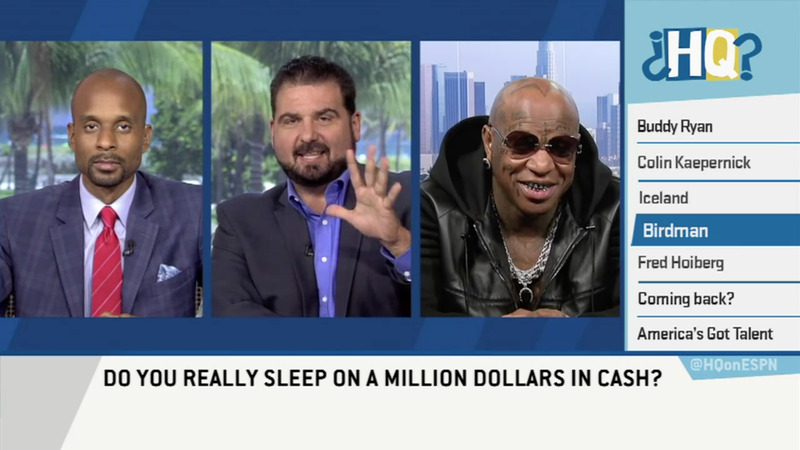 When pressed on the idea by hosts Bomani Jones and Dan Le Batard — who contended, quite reasonably, that sleeping on cash can’t be a very comfortable way for a millionaire to sleep — Birdman continued to elaborate on his decadent sleeping arrangement. While Jones and Le Batard eventually seemed to go along with the concept, not everyone was so convinced. Rapper Lil Wayne — who became estranged from Birdman and Cash Money in 2014 due to a dispute over the release of his album “Tha Carter V” — took to Twitter and made a hilarious jab at Birdman and his supposed “Cash Money” mattress. Watch the whole “Highly Questionable” segment below.